Purchasing a new or used car, SUV or truck can be a stressful and confusing process. Choosing the correct vehicle for you and your family can be just as stressful. At Star Nissan in Niles, it’s important to us that we give our customers all the tools to take the proper steps to ensure they are getting the best vehicle that fits the needs of themselves and their family. We pride ourselves on providing award-winning customer service and our goal is to make sure our customers are completely satisfied with their vehicle purchase. Earn the dealership’s business: If you see a better offer elsewhere, give us the chance to beat it. Asking questions that concern you: Questions about safety are always great questions to ask, along with mileage and space for passengers. Always do your research: It’s always positive to look up the price of the vehicle you’re looking to test drive, so that you know what to expect before you walk into our dealership. 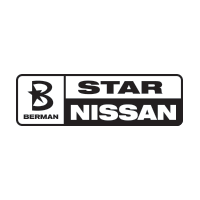 Here at Star Nissan we have all types of cars, SUV’s and trucks that can fit a variety of needs, ranging from a big family that takes lots of road trips, to a someone that just needs to get to back and forth to work. Our certified sales professionals will ask all the right questions about your vehicle needs and help you determine which vehicles will fit best for you and your family. It’s very important to ask questions yourself to make sure you leave our lot with the perfect vehicle that fits your needs. There are no silly or irrelevant questions. If it’s on your mind, be sure to ask! We’ll answer every question to ensure your experience is easy, informative and memorable. Once you’ve addressed and identified your needs and what you are looking for, you can test drive any vehicle that you feel would be a good fit for you and your family. A test drive is to make sure that you’re comfortable driving the vehicle that you are choosing. While it’s not important to test out all aspects of the vehicle, you should have a checklist to make sure that the car has everything that you and family needs. Does the car, truck or SUV drive smoothly? Is there enough space for me and my family? Do you feel comfortable and in control of the vehicle? Do all the lights, buttons and controls work properly and are they easily accessible? Does the passenger-side mirror have any blind spots? Does the vehicle remain on course or drift to the side? Is the vehicle easy to get in and out of? Do the wipers work properly? Does the vehicle have enough power to accelerate at a comfortable pace? After the test-drive, if you love the vehicle, we’ll be ready to assist you with the last, and easiest step of the process: finding the right price for your vehicle. At Star Nissan we use a sophisticated pricing formula based on current market conditions to keep our prices competitive. We call this our Berman Perfect Price. This pricing philosophy means that we regularly price our vehicles at a loss because the market dictates it. In short, we never lose a sale over price. Though our tips and tricks still apply to everyone, there might be a few more things you’d like to consider when shopping for a family vehicle. Let’s look at the options you should weigh to make the best decision for your family. Performance in crash tests: visit National Highway Transportation Safety Association (NHTSA) website to learn more. Seat belts that accommodate the number of children you will need to transport. Be sure to check for shoulder seat belts versus lap belts. Smaller families can fit comfortably into a sedan or an SUV. If you have three or more kids or you carpool regularly, we recommend a minivan or large SUV. For even more kids we recommend our mini-van or you may be surprised to find a commercial vehicle is the perfect fit. Along with the number of children, consider their ages and needs. Finding the perfect fit for a mom with toddlers is very different from the needs of on-the-go teenagers. Ask your salesperson about car seat style and consider space needs. This will vary depending on whether you have infants and toddlers who need car seats or will be carpooling from sporting events. Your kid’s hobbies should also be taken into consideration. Do they have athletic equipment or a large instrument to haul? This will impact the vehicle that is best able to meet your needs. A smaller vehicle should be selected for ease in maneuverability, especially in the city, or for longer commutes. A larger vehicle may be a better option for families who like to road trip and need the extra space, or for those looking for increased traction with four-wheel drive. 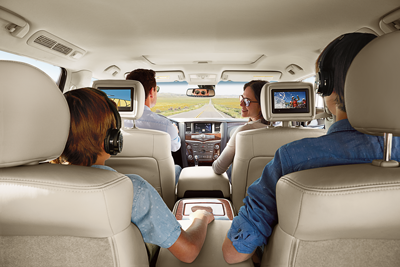 For longer trips or those constantly on-the-go, in-seat DVD players are an added benefit to keep kids entertained. Will you need room to haul strollers or fold seats down to transport large items? Larger vehicles have more room and capabilities for various easier configurations than sedans. In general, lighter cars get better mileage then heavier ones, and I-4 engines are more fuel-efficient then V-6 engines. Can your kids get in and out with ease? Can you reach your children who are in car seats? How much will your insurance cost?